New Airtel trick is back! Now i'm here with latest VPN hack for free internet with 3G speed on your PC. 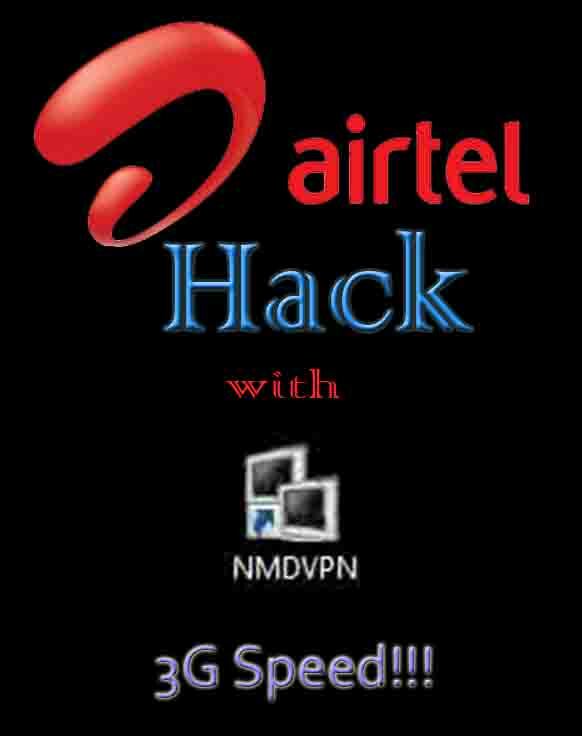 Here is the complete tutorial to install the VPN and configure it for high speed internet to get free Airtel 3G. it can provide speed upto 200KBPS. Unlike the proxy tricks, once the VPN is set up, you can browse and download as before. Also, it is 100% secure and free. The main feature of this trick is that it has no problem of speed cap or bandwidth cap. No sim blocking and unlimited speed. In real, most of the users will get around 200KBPS with this. With 2G network, you will get around 15KBPS. This VPN trick utilizes BBM hack and it is working at even 0 balance in almost all states in India. With this, you can also download torrent files. Secure sites are also supported. just read and follow the instructions below. Now Open NMD VPN and connect to one of the 3 configs. If one fails to connect, try the other. Connect and Enjoy free Internet with blazing Speed! You can also use the same config to get Free internet in Android. I'll post about it soon.